Prima LX 2525.K BS IV is an ideal combination of power and economy for mining and construction application. It is powered by a Cummins ISBe 6.7 BS-IV engine, with an advanced active emissions control technology system called Selective Catalytic Reduction (SCR), that offers best-in-class fuel efficiency and performance, delivering 950 Nm at 1200-1700 rpm. It has a 430 mm clutch dia, providing larger frictional area and a high clutch life, along with the proven Tata G1150 9-speed gearbox, for best-in-class gradeability and mileage. 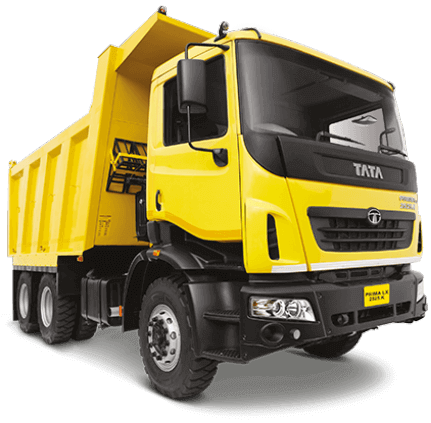 The Tata Prima LX 2525.K comes with the Tata RA 109 rear-axle to support high load-bearing capacity. These tippers are known for their higher fuel efficiency, higher reliability and longer service intervals.